Dracomax wrote: have we created an order of knight priests such as the templars, knights hospitalier, etc. yet? I don't believe we have anyplace worth invading and stealing things from. what about those dirty heretics who believe in "the outside?" They don't have anything worth taking. All we need is Time. Regardless, a knightly organization would be fun. Perhaps the Knight Watchers? So I should be phrasing it as "Watchman, what of the Knight(s)?"? Has a certain ring to it, I have to admit. "the Knights Watch" (now that a new series of Game of Thrones has started). I hesitate to mention this, but if "watch" is a noun, should it not be "the Knight's Watch"? Knight's, if there is one Knight watching; Knights', if there are more than one Knight. The catapults, the Mangonel, Onager, and Trebuchet, might be awards. Why would more than one Knight own the same watch? Do they wear it on a Time-sharing plan? 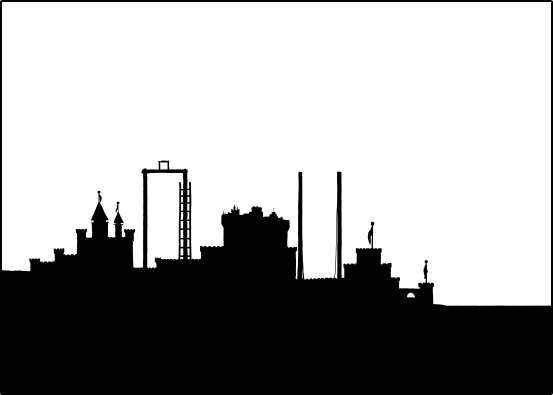 "The Knights Watch's Watch" Would be far more appropriate as it would be the order of the knights, then their possessions. And once again we wait for pixels. Been a while since I posted, but I've done my reading of the forum, I have waited and now people are really mad at me everytime I tell them I have to go back to the interblag to check for pixels. I have no idea what to expect right now from Time. But I shall wait. That was the order, the path given to us, and my faith will not fail in these dark times of tides rising and threatening everything we have witnessed. I'll come back, in Time, but I will never be away. This is actually fun!!! They don't own the watch. they perform the watch. About this, is there someone who can explain to me how it works? My teacher said that the 's is used for persons but not objects, but her explanation wasn't too clear. Blank frames? Don't you see the dancing gorilla in there? We'd be better just using Sindarin. "It didn't happen on my watch." I actually have both a grammar book and a dictionary of Sindarin in my computer! But the only thing I studied is how to form plurals (and I'm not sure I remember it correctly). EDIT: I also knew how to write in Cirth and tehta-mode Tengwar, but I forgot most of them. Last edited by udscbt on Tue Apr 09, 2013 7:21 pm UTC, edited 1 time in total. Ah, but do they not also have watches while on watch? And the original discussion was around the title of the Knights. I.E. "The Knights who Watch"
Antonio and Bendrito, members of "The Knights who Watch", was on watch duty, looking at the watches, owned by said Knights. So, "The Knights who Watchs' Watchs watching Watches"
I have come to only once conclusion after all of this, "Watch" is a weird word. You have a point. Eventually then, it will be empty; let's wait for it. Caswallon wrote: I have come to only once conclusion after all of this, "Watch" is a weird word. Yes. Good thing Lord Randall didn't command us to watch for it. Well, Knights Watch makes me think of a Pratchett book. so, maybe "Morituri Nolumus Mori"
But the cynicism. Definitely the cynicism, howbeit that I arrived at it by a quite different route. ** You may now say "awwww..." or "blecch! ", according to taste. Last edited by htom on Tue Apr 09, 2013 7:31 pm UTC, edited 1 time in total. The Knight Riders? With their faithful cyber-car, "IT"? They write letters on parchment with their knight quills. Ok, how about the Endless Knights? Or the Knights of the Pixels? Or the Defenders Of Noble Graphics (DONGs)? Knights of the Slowly Rising Tide. You guys lost me here. But after carefully examining all evidence, I have reached a definite conclusion: watch, and all its variants, just stopped sounding like a real word. "watch watch watch watch watch" doesn't work as well as a sentence as "Buffalo buffalo buffalo Buffalo buffalo." 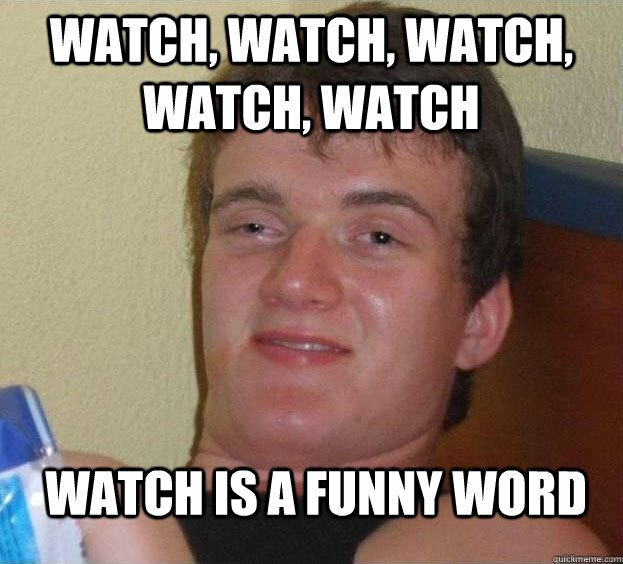 but watch is a funny word, yes. The ergative case looks great in a tux. Last edited by partingLance on Tue Apr 09, 2013 8:01 pm UTC, edited 1 time in total. "The Viewers of timepieces, is commanded to look at the Viewers of timepieces, timepiece.